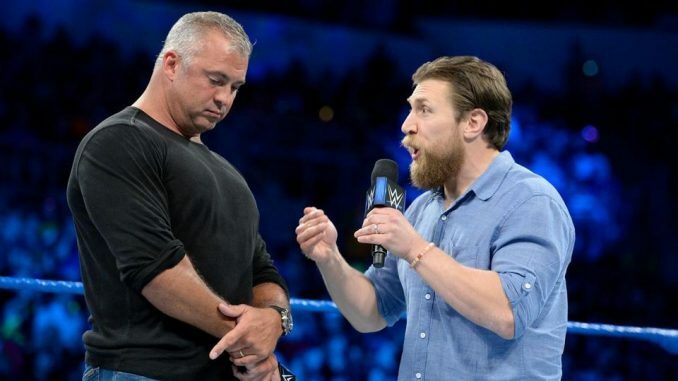 With the pending announcement that the WWE’s SmackDown program will be moving to Fox in 2019, a new report states that the program will remain live when it moves to Friday nights on the new network. The Wrap’s Tony Maglio, who reported on SmackDown’s move back to Friday nights when it makes the moves, was the one to break the news regarding the show staying live. The change will cause an adjustment to the current taping schedule with a production team needed every Friday and Monday. Options would include keeping the production staff on the road that weekend or using a separate team for both shows. This will also allow the WWE to promote a live edition of SmackDown over WrestleMania Weekend, beginning in 2020 where SmackDown can be the WWE’s Friday night event, which is currently occupied by the Hall of Fame on that night. The deal with Fox has been reported to be a five-year deal worth $205 million per year and will go into effect after the existing deal with NBC Universal expires on September 30th, 2019. SmackDown premiered in August 1999 on the UPN Network on Thursday nights with a move to Fridays in 2005. The show began airing live on Tuesdays in July 2016 on the USA Network to coincide with the relaunch of the brand split. This October will mark the 1000th episode of SmackDown.